Looking for SEIKI TV remote codes? I’m trying to set up my cable/satellite/universal remote to work with my SEIKI television. What is the manufacturer’s code for my SEIKI TV? Cable and Satellite content providers control the remote codes, and we apologize for any confusion during the remote programming. These codes may not work on some universal remotes. If there is another code listed for SEIKI Digital in your universal remote control guide, please try that code. Refer to the Remote Control Guide under your TV’s model number for more information. I need a code for my GE universal remote, for my seiki tv. I had one for the longest time but I accidentally reset my remote and now we cant find the paper I had written it on because this was a year ago. I had found a website a year ago that said to try a different brand because that is what worked for seiki also but i’ve tried both LG and Samsung tv codes.. and neither are working and I cant remember what the one was a year ago . please if you can help i’d be so greatful. 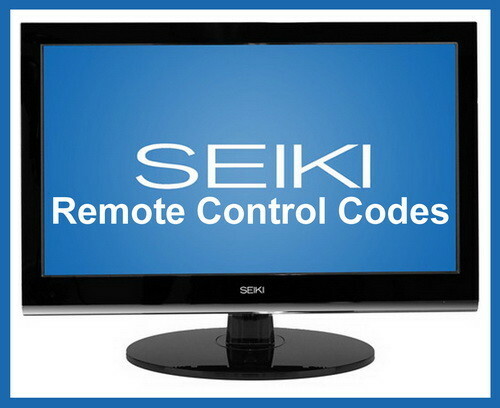 Have you tried ALL the SEIKI remote codes on this page? Have you looked in your TV manual to see if there are more listed?